As we celebrate Earth Week on Fathom, we're thinking about sustainability, eco-friendliness, and all things green. Here are five destinations around the world that make loving the Earth a reason to take a vacation. It is crazy hot inside the greenhouse garden and droplets of sweat pour down my back, but I feel light instead of suffocated. Every hue of green sways and expands, greeting me with beauty. The Johnny Cash song "Forty Shades of Green" suddenly pops into my head, although I am not in Ireland. I breathe in deeply the sweet smell of plant life and oxygen while scanning around this hydroponic farm at CuisinArt Resort on the island of Anguilla. Anguilla is a coral and limestone atoll with few natural resources for growing crops or other vegetation. This makes resorts and restaurants on the island dependent on imported fruits and vegetables from North America or Europe via St. Maarten. In order to serve the freshest ingredients to its guests and to save on fuel and energy costs that greatly harm the environment, the resort has built a 18,000-square foot hydroponic greenhouse on site with varying hydroponic cultures. Tomatoes, cucumbers, peppers, eggplants, bok choy, herbs, micro-greens, and more grow here year-round. Now I realize why my dinner the previous night at Le Bistro Santorini tasted so fresh. Their mantra of "Farm, Sea, Land" means just that — all the important ingredients coming straight from the island and from the resort's farm. We can all travel in a positive manner by doing the same. When I used this filter to look back at other places I had visited to see any were eco-destinations, I find quite a few. And I found so many more "good" options at travelingnaturally.com, a wonderful resource. Here are five of my favorite destinations when I want to hit the road and love the Earth. I went to Sonoma County for their decadent and famous Sonoma Wine Country Weekend, which is a terrific getaway. Set at MacMurray Ranch, a scenic, voluptuous piece of land not normally open to the public, the food and wine festival features the best of the region. Tents have chef samples and wine tastings from different areas in Sonoma, like Russian River Valley, and there are informative events like a sommelier tour and wine maker panel discussion. It's held every Labor Day weekend, a wonderful time to explore Northern California's wine country. 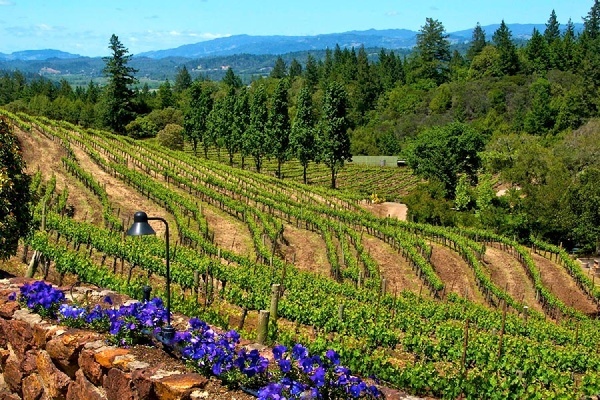 The best part is that by purchasing a ticket to this gourmet gala, visitors will be financially supporting the Sonoma County Winegrowers who are working to make Sonoma the United States' first 100 percent sustainable wine region by 2019. The county is already at the forefront of creating and utilizing sustainable practices, so this is an easy next step. Sonoma vineyards are currently evaluating their properties so that every vineyard can gain certification. Third-party evaluation and constant transparency help to ensure against greenwashing. If a Wine Country Weekend trip isn't possible, go another time, and don't miss a tasting at Rodney Strong Vineyards. Their wines are award-winning, and proprietor Tom Klein's passion for the environment is commendable. 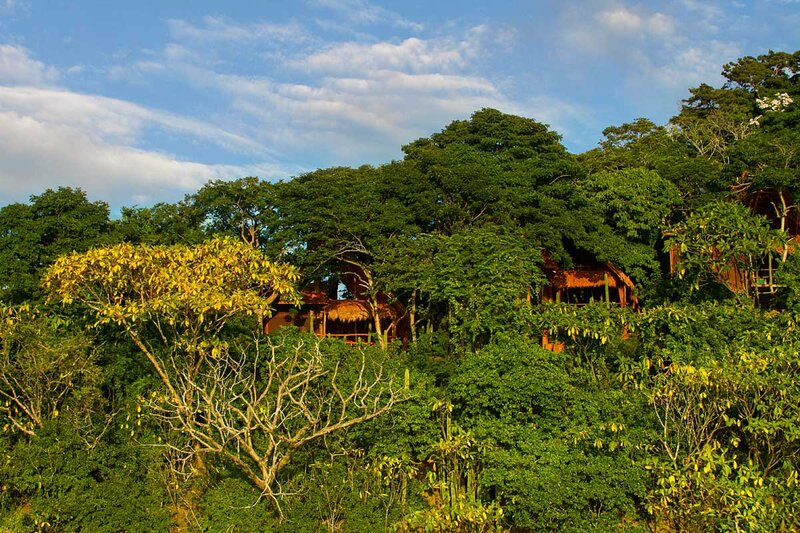 Morgan's Rock Hacienda and Ecolodge is a very special place for me as it was where I got engaged. That is a story in and of itself, as we got lost trying to find the very hidden-in-the-jungle gem, but the journey was beyond worth it. The gorgeous, 4,000-acre property on a forested hill overlooks the ocean; half the land is a government-protected reserve. The remainder of this piece of heaven is set aside for low-impact agriculture, which provides the restaurant with fresh produce, meat, and dairy. Morgan's Rock encourages volunteer work while staying there (in addition to other amusements like horseback riding, surfing, fishing, and zip-lining). Their mission is "the preservation of Nicaragua's vital ecosystems and wildlife, as well as cultural preservation and community involvement." The accommodations are romantic, luxurious, and eco-friendly. The cuisine is fresh and fantastic. (Ask for a to-go lunch if you go off to explore the sites.) 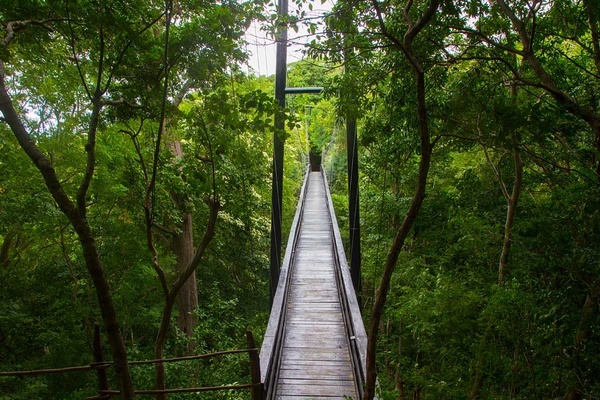 I remember the first time I walked to my room, crossing a suspended bridge, walking with monkeys, and opened the wooden door to a nature-inspired paradise. Outdoor patios with showers, screened-in balconies for sunset viewing, and a bedroom that is practically part of the environment create a magical vacation. While on a driving tour of Northern Wales — which is basically like visiting a hipster, crafting grandmother who only cooks local, sustainable comfort food. I stayed at Geufron Hall Bed and Breakfast in Llangollen. This is a memorable place for many reasons. 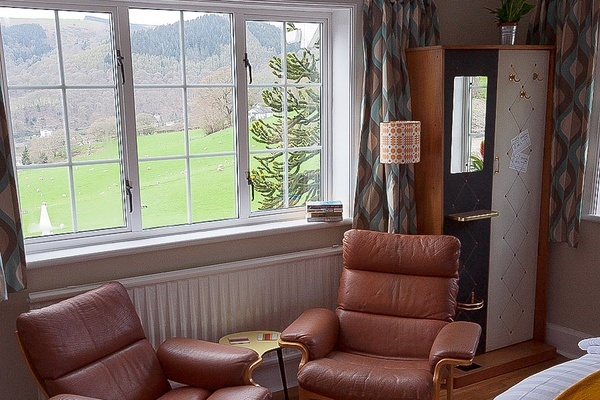 The B&B was converted from the owner's childhood home and the owners remain very involved. Guests feel the benefits of an independently-owned business: caring service, well-chosen interior design, and homemade sloe gin for sale. There are only four rooms, but all are cozy and funky-chic with lounge chairs and fresh milk and coffee. I stayed in the Berwyn room, and I never wanted to leave. From the bed I had stunning views of the Vale of Llangollen, an area so beautiful it is designated an Area of Outstanding Natural Beauty and a World Heritage Site. Waking up to that view, with sheep bleating and the mist dissipating over the hills, made getting out of bed difficult, but the entire B&B has welcoming community rooms like the glassed-in downstairs reading room with an honor bar. Geufron Hall is part of a TripAdvisor program called Green Leaders, a collection of environmentally conscious properties. In order to be a part of the program, hotels must satisfy a list of green practices like tracking energy use on a regular basis, using energy efficient light bulbs, recycling two types of waste, and educating guests on green practices. Green Leaders have a tiered award system for members; Geufron Hall received a silver medal. Staying at locally owned B&Bs is a way of giving back directly to the community, and choosing a place from this list raises the standards even higher. 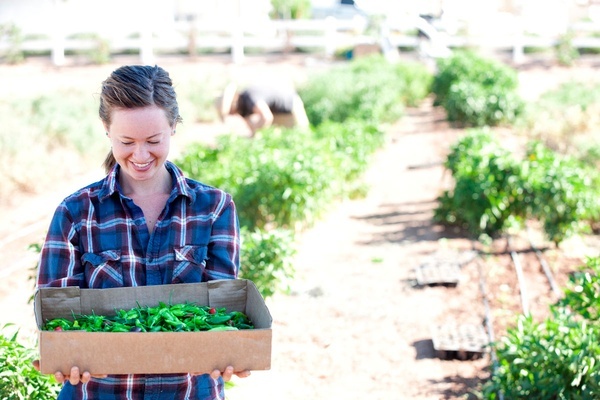 Agritopia is an "agrihood," a residential development surrounding a working USDA-certified organic farm in Gilbert, Arizona. The central part of this place, other than the farm, is a coffee shop and the upscale diner Joe's Farm Grill. I was sitting at said diner, gorging on the most delicious fluffy pancakes in Joe's Big Breakfast — two pancakes, three scrambled eggs, two strips of bacon, two links of sausage, and skillet potatoes — when Joe himself walked in. I guess I shouldn't have been surprised, as Joe's Farm Grill is created in his family's old 1960s-style home. The mood and feel of that era is maintained with the architecture, a mid-century modern take on a burger stand. Joe himself looks like he just stepped out of a London haberdashery, replete with hat, vest, and shoes that do not look like they should walk in dirt. He immediately offers a tour of the place and proceeds to walk right into the garden with his newly shined shoes. 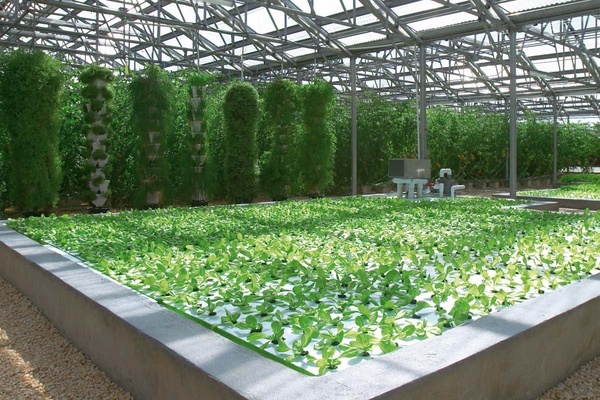 The innovative hydroponic farm at Cuisinart Golf Resort and Spa, which provides produce and herbs for the hotels many dining options, is the inspiration behind many activities at the hotel. I was so impressed that a lack of fresh vegetables and fertile topsoil led to an environmentally friendly solution that is also a tourist attraction. Executive chef Jasper Schneider leads intriguing cooking classes like Secrets of the Chef on Fridays and intimate dining experiences like his Chef's Table, which features an eight-course menu incorporating ingredients from the farm. After that delicious dinner, guests can tour hydroponic farm which is the creative spark for all the resort's meals. Dr. Howard Resh guides the tour and gives out samples to taste. Not only was I eating with a clear conscience, I did so while lounging on the pristine beach with the tranquil Caribbean Sea as my tableau.